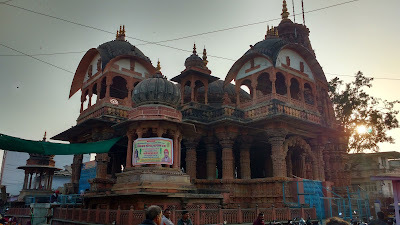 I spent my last day of my Rajasthan trip exploring places around the twin cities of Jhalawar and Jhalarpatan. 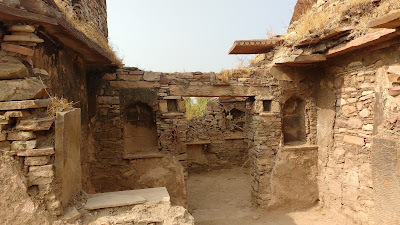 Collectively these were a part of the former Jhalawar princely state in the Hadoti region of Rajasthan. The old princely state now makes up the namesake district that borders Madhya Pradesh to the south. What promised to be remembered as a beautiful day of fruitful wandering suddenly crashed near the end and ended up as a major lesson for my solo trips. I was based in Kota, and took the 9:30 am Kota-Vadodara Passenger to alight at Ramganj Mandi in an hour. 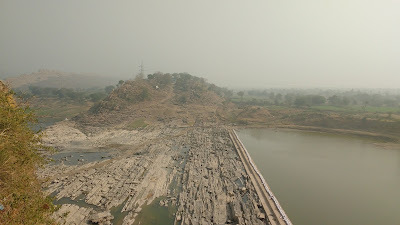 From there, took a shared jeep to Suket and then another one to Jhalawar. Jhalawar has a rail-head direct connected with Kota, but the train timings were not so convenient. I made an attempt to catch a direct train for the return journey, but the train was delayed by an hour and I was in a hurry, so had to discard it. The buses ply regularly to Kota from the New Bus Stand. Gagron Fort is massive!!! 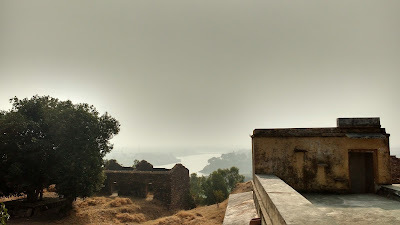 The fort is a part of the 'Forts Of Rajasthan' World Heritage Site. This fort does not have major story to tell like the others, but makes up with its location and its sheer size. 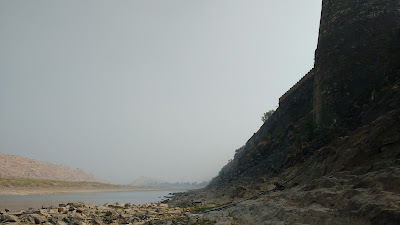 The fort is built on a hillock at the confluence of two rivers - Ahu and Kali Sindh. The walls of the fort rise steeply for about a 1000 feet from the river banks and brilliantly complement the natural defenses of the fort. 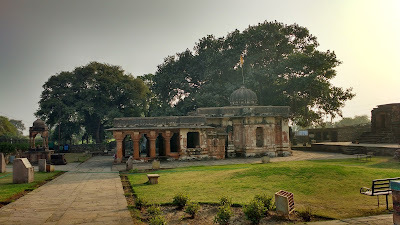 The eastern part of the fort now houses a dargah, and a part of that section is inhabited. 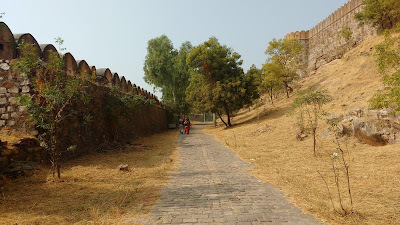 Jhalarpatan is a walled city, a little south of Jhalawar. 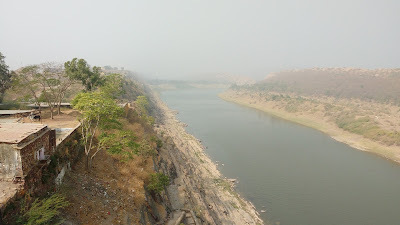 Further south of Jhalarpatan are the banks of the Chanderbhaga River which host an annual cattle fair for a fortnight in the month of Kartik (Oct-Nov). 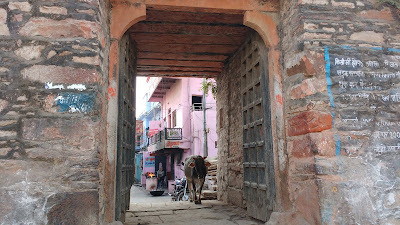 The cattle had long gone, but the stalls still remained and a rickshaw-guy suggested I check them out. 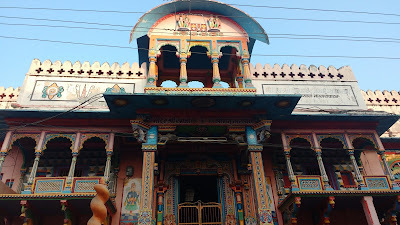 Nothing out of the ordinary - I moved on past the walls to the Chanderbhaga Temples. 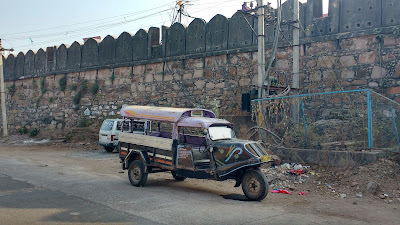 It was almost 4 pm when I was on the road to the Chanderbhaga Temples. 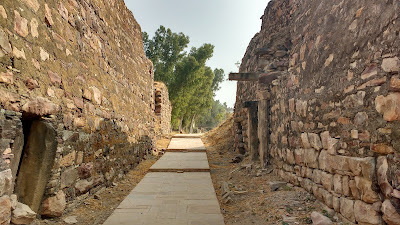 The road to the temple complex passes between rows of small houses and consequently does not see much thoroughfare. Walking on this road, I was ambushed by a pack of stray dogs. The story is much more entertaining when told in person, so I'll skip details. I escaped with a scratch near the ankle, but the rest of the day was derailed altogether. I took this pic at the temple complex before the langoors and the scratch made me take a hasty retreat. 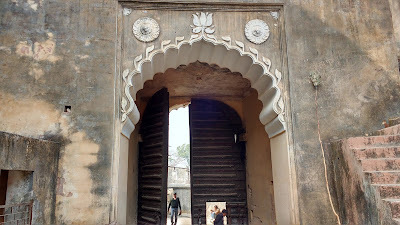 Jhalarpatan has quite a few gates that cross the walls, large and small ones. I decided to take a quick walk through the city before rushing back to Kota to get an anti-rabies shot. The Sun Temple, by the way, is amazing in its architecture and should not be missed. 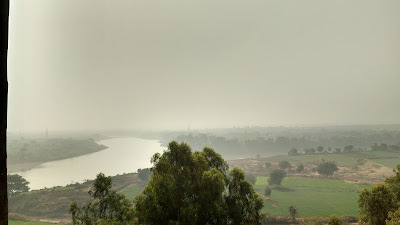 The Jhalawar district and the neighbouring Mandsaur district in Madhya Pradesh have some untouched beauties that beckon. But all these places are severely hard to reach for a solo backpacker. Thank you Harshad :) There's a lot more to explore.